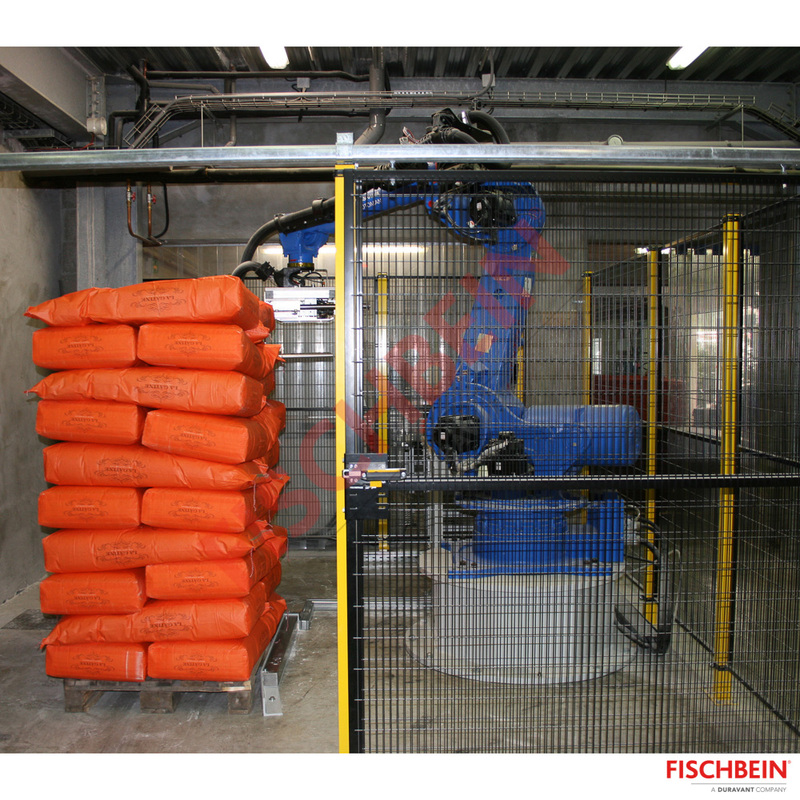 The Robot Palletizer is used to stack bags of up to 40 kg onto a pallet. 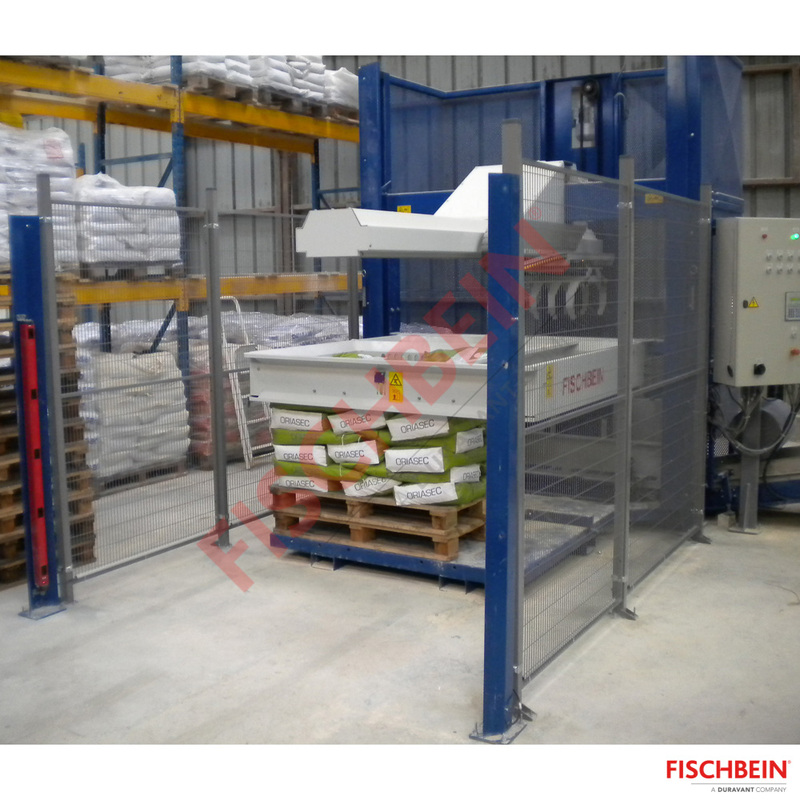 The Palletizer P500 is used to stack bags of 15-50kg automatically onto a pallet. 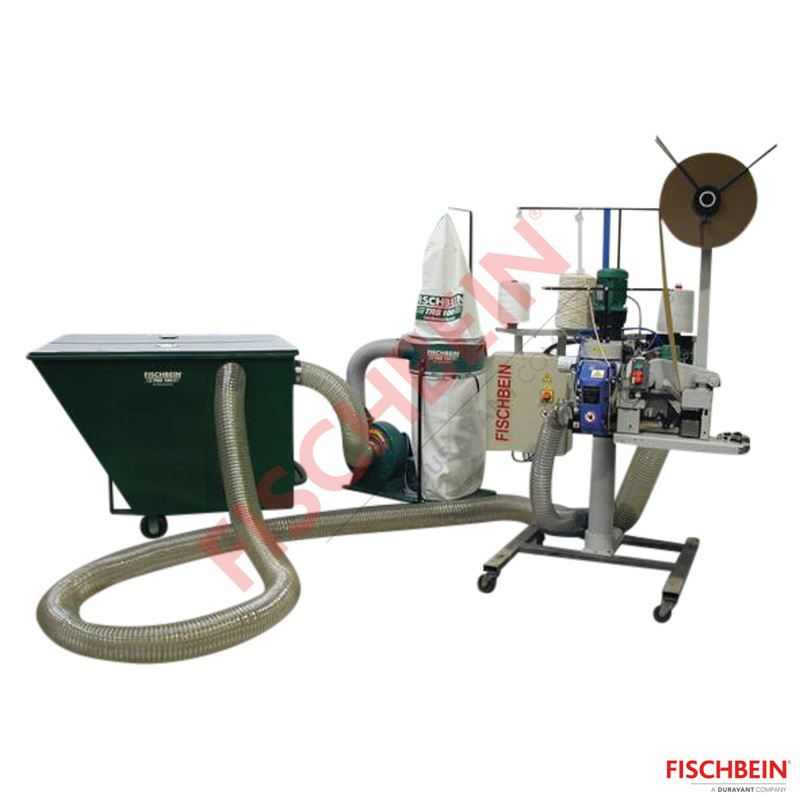 The trim removal system collects the waste of trimmed bags. 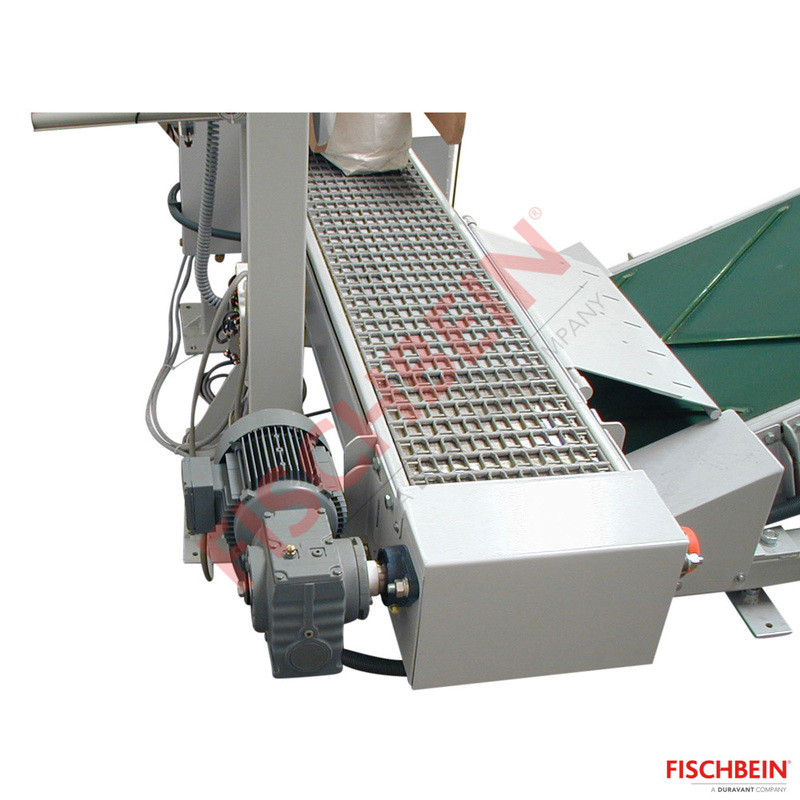 This table connects 2 conveyors. 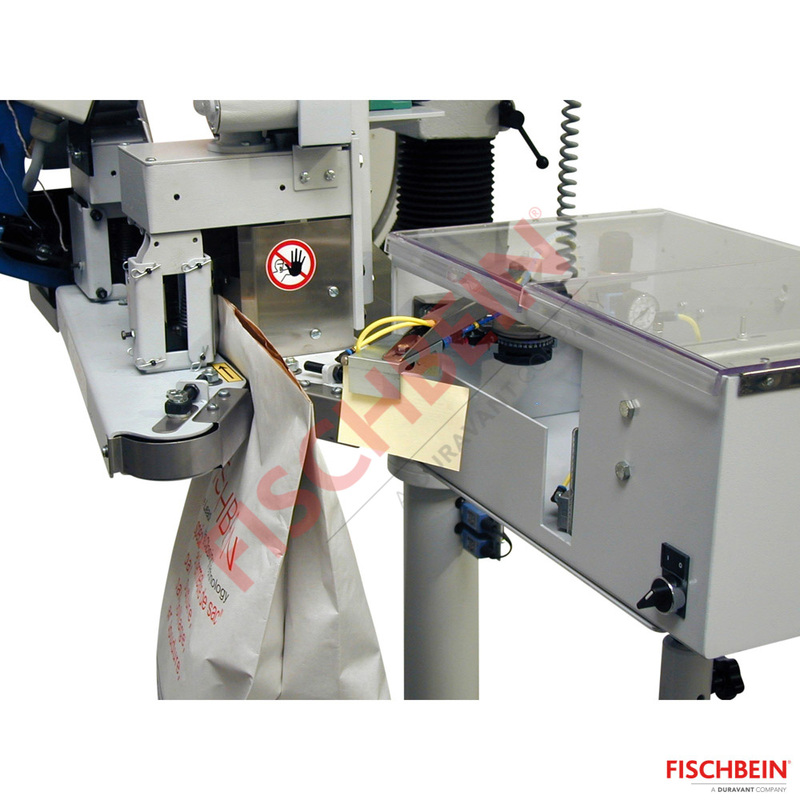 The tagger is placed on the sewing system and sews a label on the bag. 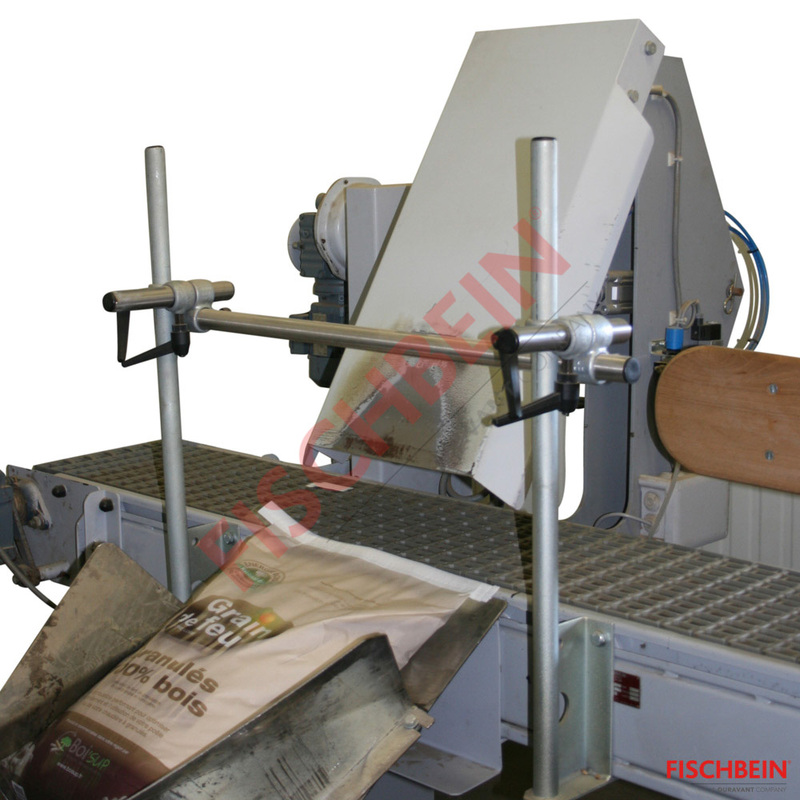 In place of the line operator, the bag kicker kicks the bag out of the conveyor.